You insolent brat! 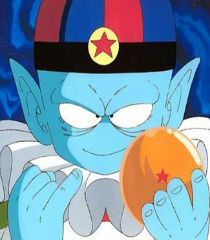 I am the great emperor Pilaf and I will be the only one giving the orders here today! Tell me where that last Dragon Ball is now. I see, you actually want the Treatment, don't you? Oh, you'll wish I would've killed you.